I’m probably a little bit late with this product hype because it has been on the market for a while now. But I just discovered it. I have seen it in shops everywhere and my sister bought it a while ago and she was very happy about the product. She said that I should try it too but I didn’t listen to her. Now I owe her an apology because she was right. This product is amazing. I used it while I was on holiday because I knew I had to take care of my skin and moisturize it because of being in the sun so much. I always had the problem with body lotions that it doesn't dry fast enough. And when you are on a camping you can’t just walk around in your underwear waiting till the body lotion is dry. I think a lot of people will stare at me then... So that was the reason why I bought the Spray & Go. It would dry quickly and I could put on my jeans without much struggles. I hoped it would dry in literally 5 seconds but still it takes a little bit more time of course. So I came up with a good routine. I would spray myself in and rub it into my skin and then dry my hair with a towel. After I had dried my hair I could put on my jeans without much trouble! Believe me it really dries fast! Faster than the other body lotions I have. So this really helped me moisturizing my body while on holiday. 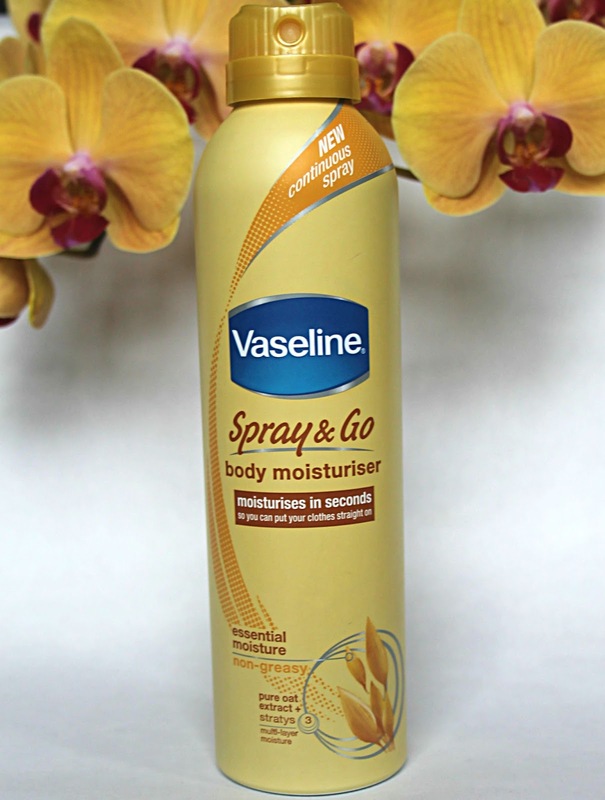 And I would recommend this to everyone who is in a hurry or has no patience to wait for a body lotion to dry. You don’t have to be on holiday for using this. ;) Also what is very nice about this bottle is that you can lock it. So when it was in my shower bag on the camping I had no worries about leaking body lotion in my bag. I wish I had bought this product earlier because I always hate to wait till the body lotion is dry. I’m definitely going to use this product more often and take it with me next year when I go to a camping again!